Something I appreciate about Nicaraguans is that they will eat a fruit at any stage during the ripening process. For example, they will eat mangoes when they are soft and sweet (which would be the norm for me), but they especially like them when they are hard and tart, mixed with vinegar and salt. There is another fruit here called a jocote, which can be eaten when it is green, yellow, or red. The texture and flavor for each color is very different, but each is perfectly acceptable here. Fruit is something they have in abundance here while they may not have as many options for other kinds of food, so they have learned to work with it. Even though I have never personally experienced true poverty, I think I can relate to the people here in some ways. As far as having to make do while we wait for what we really want, Tommy and I have been "in limbo" for pretty much our entire relationship. 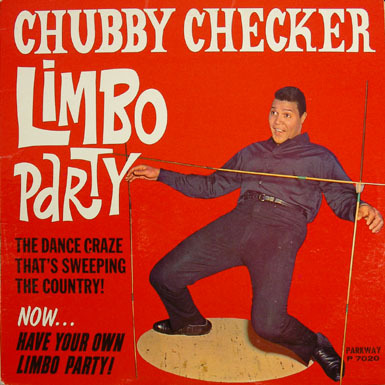 (Yes, I know that the phrase "in limbo" is not the same as the game in which you maneuver under an ever-descending stick, but when I think of the phrase I always get the song stuck in my head.) We waited 3 1/2 years to get married as Tommy paid off his debt and I looked for a job. We lived in a cheap apartment for 4 1/2 years, the last two of which were spent looking for and trying to make a deal work out on a house. We finally got our house and were looking into getting a dog and, eventually, having a child, but then our economic situation changed and we had to wait on those things too. Once we made the decision to move to Nicaragua, we waited for what seemed like forever for someone finally to rent our house. Now that we are here, it took us a while to find a house that we wanted, and we are still waiting while the house is being completed. I was feeling frustrated the other day, thinking about all of the good things that we can't do yet because we are not in our house yet (having our Nicaraguan friends over for dinner; starting a regular Bible study; as well as other, various "relationship-building" activities—also, having some actual privacy when we want it). The feeling of being in limbo was there yet again. Then it struck me that we have ALWAYS been in limbo ...and it has been okay. In fact, the whole time we have been feeling like, "If we can just get [x], then everything will be okay," we have had exactly what we have really needed at the time. The temptation is always to rest our hopes on whatever the "next thing" is and to feel anxious, like we're not really complete because we're only in a "temporary" situation. But, first of all, what if the thing that we're waiting for never comes? Will all of the "life" that we spent waiting have been wasted? Second, is the thing that we're waiting for really going to fulfill us anyway? Sure, it may make things nicer, but I can say from experience that no matter how much I have gotten in my life (whether physical things, relationships with people, "better" situations), I have always wanted more. The truth is this: Resting our hopes on the "next thing" doesn't work. If we really want to have a life that feels "fulfilled" and to feel "okay" in whatever situation we're in, we need to hope in something that never disappoints. The only thing that fits the bill there is God. What I mean is that (for example), rather than feeling like we can't really start our ministry until we have our house (even though, hopefully, it will be easier to do so with the house), we should feel satisfied in the fact that God has us exactly where He wants us right now. If our trust is in HIM instead of in the thing that we're waiting for, we will ALWAYS have exactly what we need in every situation. We can also trust in His timing that it is exactly what it should be. I have seen friends go through the long, emotional process of adopting a child. I know that some things are VERY hard to wait for. But, if we are trusting in God through the whole process, we can have peace that passes understanding, and, if we allow ourselves to "rest" in Him, we can even have the ever-elusive patience. Miss Hannigan: "And we're not having hot mush today." Miss Hannigan: "We're having cold mush." Some days we are just stuck with "cold mush." There is something else that we really wish we could have, but we don't have it. This could be something as important as waiting to adopt a child or something as trivial as wanting our fruit to be of a certain ripeness. 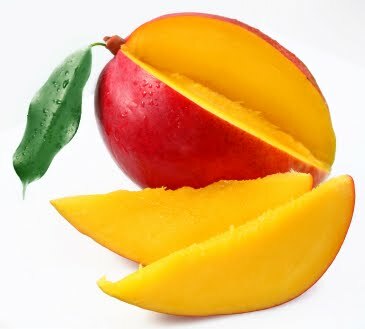 This afternoon I was hoping for a sweet, juicy mango, but the vendors in the market were only selling mangoes that were either way over-ripe or totally green and hard. Taking my cue from my friends here who have learned to "make do," I went with the green mangoes ...and it was okay. I would prefer to be living in a house right now instead of in the mission ...but it is okay. If my love and trust is in God, everything else will "work for the good." In fact, it is already good, just not in the way I might want. What things are you waiting for? What do you do when you don't get your preferences? Does it help at all to know that God is in control? Do you ever feel upset that God is "allowing" things to be the way they are? What thoughts help to encourage you in that situation? Becky, I love this. 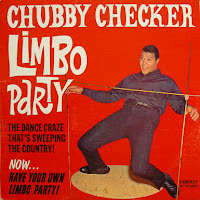 I'd like to say that I'm with you here, but the truth is that I'm horribly bad at limbo. Even that brief time (just under a month) in the fall where we didn't know where we were going from SC, just about killed me. And it's not even big things. I hate the idea of remodeling my house, not only b/c of the cost, but because of the limbo of having my house under construction. Yes, it's that bad! That's why you are such a good example to me; I am always working on being satisfied with whatever stage of life I'm in. I think that's why my blog spends a lot of time talking about living purposefully and "to the full"--because I naturally struggle so much with wanting that "next" thing to make my situation better. I see the futility of such desires in my kids, especially Luke. When Gaga is in town, he gets whatever toy he wants...and it's amazing how quickly the joy over that toy is lost, and he starts looking for the next thing. I have pointed this out to him (repeatedly), but it's a hard practice to shake. It is for ME, so I know it is for him. With me, it's not usually material, though, but circumstances. (Right now, the temptation is to say, Things will be so much better when I have real FRIENDS here, like friends-friends, you know? It takes me so daggone long to form deep connections with people. Most of my good friends at Summerville came at least a year after Luke was born. So that was, what, four years after I got there? Ugh. I can't wait four more years:). But anyway, I have to constantly remind myself that, like you said, we have everything we need to serve God where we are now. And even though I don't have those deep friendships here yet, I have great ones from SC. And I also am SO thankful for the blog connections, especially with you. Your comments are always so encouraging--mainly just the fact that you ARE commenting, but also in the actual things you say:). Okay, I've rambled on for way too long, and I'm not even going to read over this. So regard these as the unedited, unexamined thoughts that they are:). Love you! As far as being "in limbo," even with all of my "patience" (all of which comes as an undeserved gift from God), I understand how you feel. I still "groan inwardly" in situations where I have to wait, and I get irritated and start complaining. But, because I have been in so many "temporary" situations and have seen how God worked them out for the good, I have examples to look back on to remind me that all of my complaining is fruitless and unnecessary (though we all need to vent sometimes). I can relate about wanting "real friends." Like I said in my comment on my previous post, I do have my team and my new Nicaraguan friends, but the language barrier makes it take SO MUCH LONGER to develop real, deep friendships here. (It is good motivation for learning Spanish, though.) :) For me, this is the first time I have EVER lived anywhere outside of the Charleston area, so this is the first time I have had to start from scratch with my friendships. Again, like you, I am so thankful for the Internet which keeps me connected to friends I already had. But, yeah, I know what you mean about wanting "real friends" that you can see face-to-face. Becky, I love how you are describing that now-and-not-yet aspect of living in God's kingdom! Maybe it's because I've been at this life thing for a while longer than you (and Kim too! ), but I don't get as caught up in the limbo outlook on life. I'm where God has me now, and I'll be where he takes me next. That's all right with me. Tim, it's good to know that it's possible to have a different perspective in time. However, I wonder if it's not just an age thing but also a male/female thing. Men seem to be a lot more "chill" about this stuff sometimes.